As a kinesiologist with over 14 years of experience, I have coached hundreds of clients to stellar results. My mission is to empower people to achieve a healthier body through effective exercise. I’ll keep you on track and motivated with a variety of exciting custom programs and ongoing support. I’ve appeared as a fitness guest with Ottawa Daytime on Rogers Television, CTV Morning Live Ottawa, and as a speaker at the Running Room. I’ve conducted research with the University of Ottawa and the Ottawa Hospital (Diabetes Study). I am an alumni ambassador with Lululemon Athletica, Rideau Centre. In 2014, I was a guest presenter at the Activate Health and Fitness Expo. And, in 2015 and 2016, I was nominated for Ottawa Fitness Trainer of the Year by FACES Magazine. 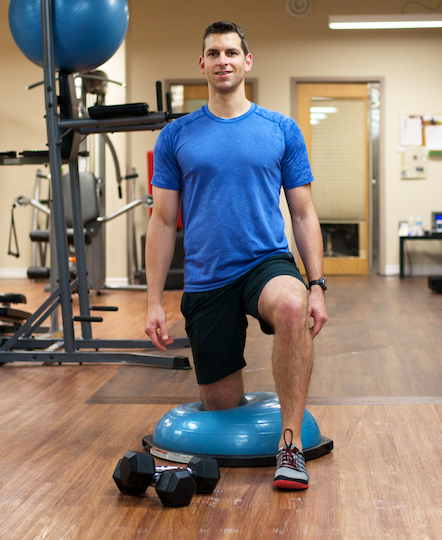 I offer health programs that focus on injury/disease prevention and rehabilitation. Learn about the benefits of kinesiology at College of Kinesiologists of Ontario.